Capt. Manny and Mike pull off a great catch of Black Grouper on the last day of Shallow water Grouper season. Capt. Manny and crew on the Spellbound caught two 25 pound Black Groupers on December 31st to finish off this seasons last day to harvest Black, Gag and Red grouper. 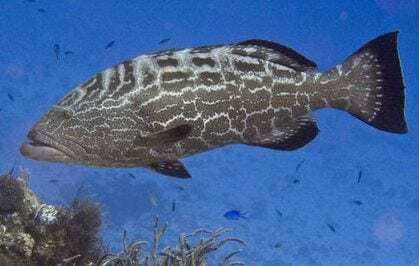 The pair of Black Groupers were caught out on some of our deeper wrecks. These wrecks are in waters deeper than two hundred feet of water. We use live Pinfish and small live Bonita “flipps or Bullets”. Success lies in precise placement of the baits on the wreckage. The groupers lay close to the debris field, and feed just slightly up current. Placing a bait just up current of the wreck, but far enough away is the key. Big groupers are power full fish that have a keen ability to get back in the wreckage after attacking a bait fish. Ok… Shallow water Grouper season is closed until May. 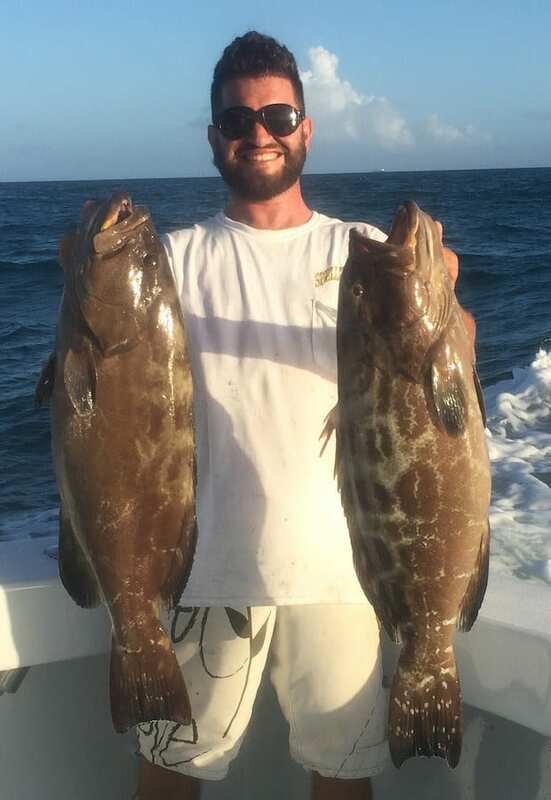 Although the Deep Water groupers and Tilefish are now in open season. We also have some really great Golden Amberjack and Almaco Jack fishing this time of year. We can also target the shallow water groupers for catch and release. If you are looking for some grouper filet to take home, then Golden Tilefish is our next best bet this time of year !